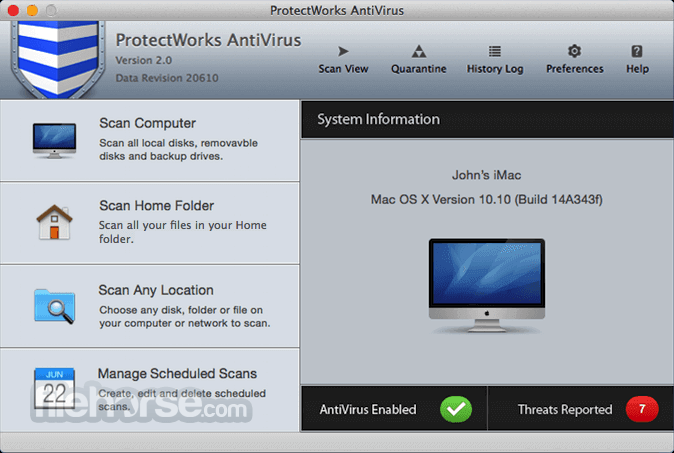 ProtectWorks AntiVirus for Mac is the next generation security product for OS X, designed to keep you safe from viruses and spyware. 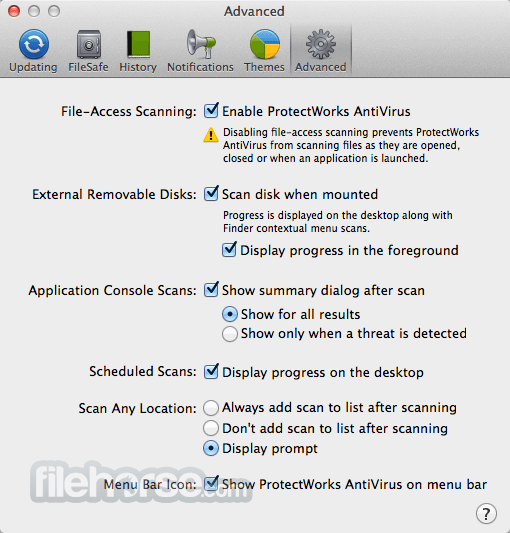 ProtectWorks AntiVirus allows you to scan any area of your Mac or network for both Mac and non-Mac malware. The user-friendly, graphical interface enables you to perform user scans, set up scheduled scans to run in the background, monitor status information and manage any threats that are discovered. 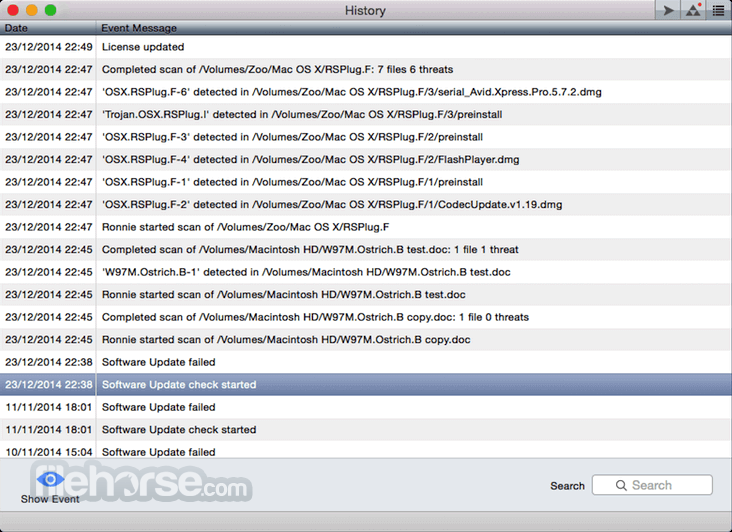 ProtectWorks AntiVirus automatically checks for updates daily, downloading new threat identities and product updates and installing them without user intervention or the need to restart your Mac. 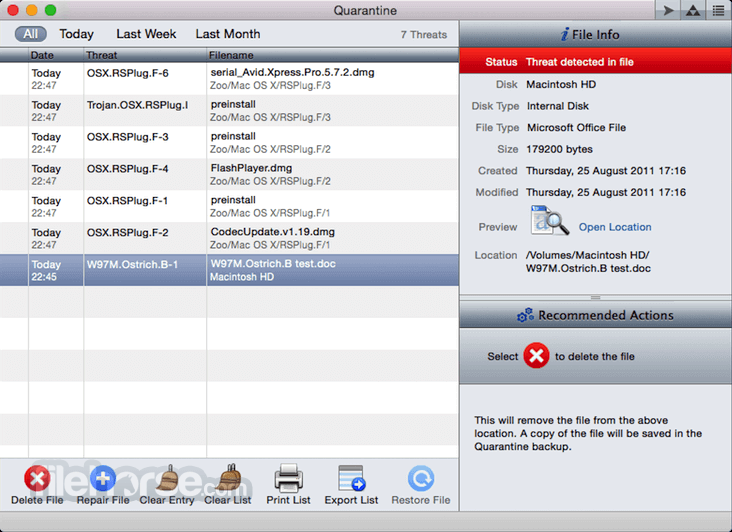 At the heart of the product is a file-access scanner that is always running in the background in real-time checking for threats, intercepting every file that is opened, closed or copied, any application that is launched, any file that is downloaded from the Internet, or email attachment that is extracted. 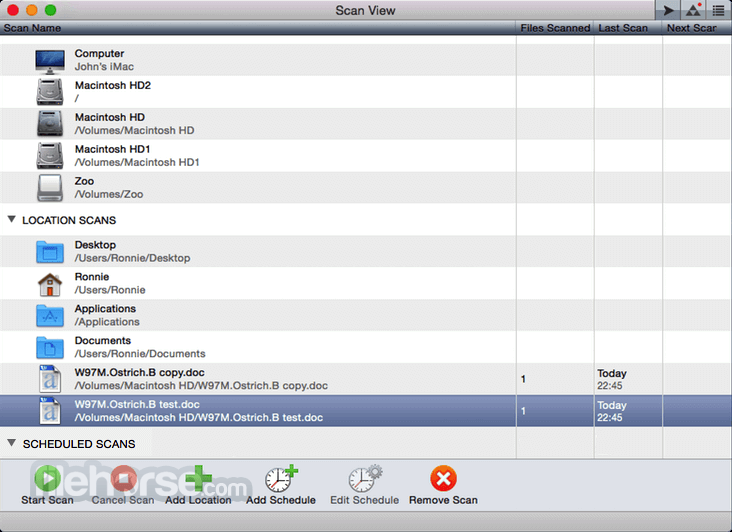 With the ability to scan any device or location directly from Finder's contextual menu, as well as automatic scanning of DVDs, CDs, USB devices, and DMG files as they are mounted, checking for threats on your Mac has never been easier!